Ready to start the new year off right? 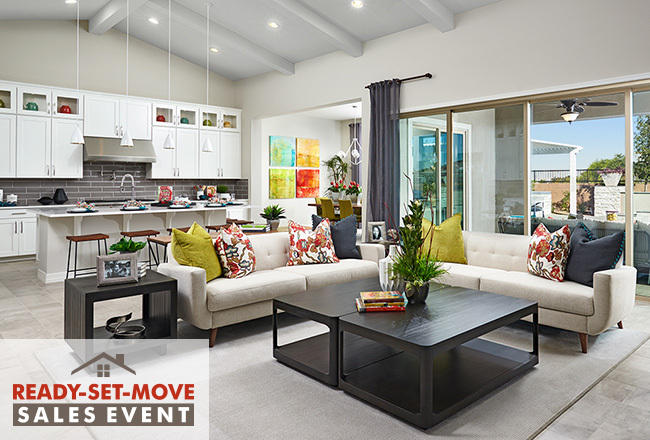 Then get set to help homebuyers find their next move in January! Now live on RichmondAmerican.com, our Ready, Set, Move campaign is designed to help homebuyers get into a new home in the new year. Rates are on the rise, but there’s still time for buyers to lock in a great interest rate on a quick move-in home with HomeAmerican Mortgage Corporation. Be sure to check out the rates or payment examples on our website and regional flyers and use them as a selling tool. To help buyers with their big move, we’re offering a moving credit of $500 toward closing costs or Home Gallery™ options and upgrades to everyone who contracts by January 31 and finances through HomeAmerican Mortgage Corporation. Buyers can sign up for this offer on our website and bring in their certificate when they contract on a new home. This is a fantastic opportunity to help buyers achieve their dream of homeownership in the new year! Share our campaign details with your clients online, or ask for flyers at your nearest Sales Center.